This is a beautifully preserved fossil. 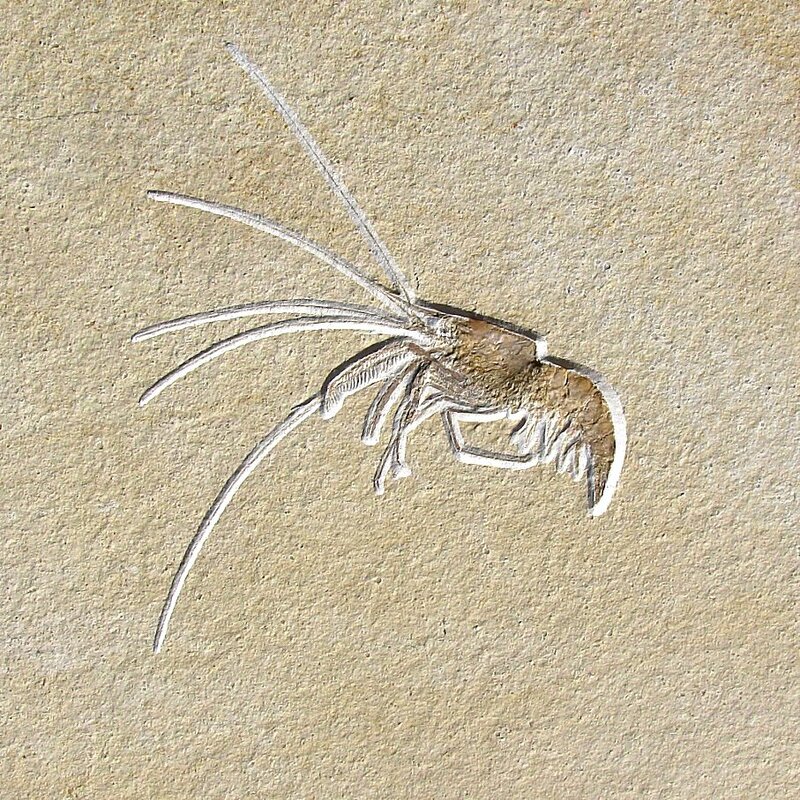 It is a fabulous Aeger tipularis from the classic Solnhofen Lithographic Limestone of Germany. This dramatic specimen was acquired from the famous Chance Collection. This shrimp is extremely detailed and amazingly well-preserved. The pointed rostrum, head, carapace, legs, and the MANY antennae are all wonderfully displayed - just look at the incredible detail! The shrimp has great, natural dark color and strong contrast and is beautifully showcased on the HUGE, unbroken display plate of lithographic limestone. 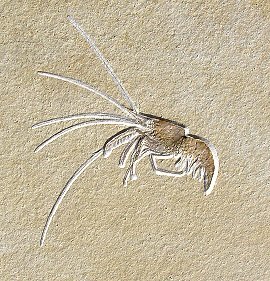 This is a textbook example of Aeger tipularis, one of the most beautiful examples of a fossil shrimp that we have ever seen.